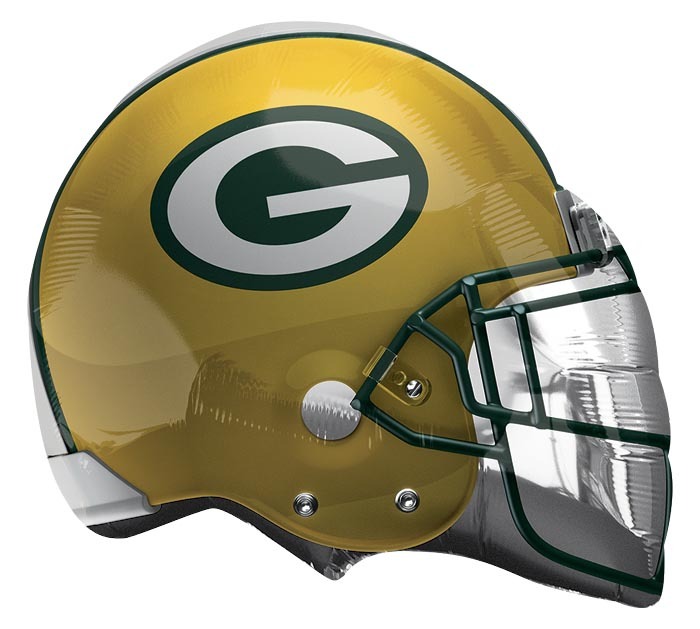 21" NFL Green Bay Packers helmet shape foil balloon. This sells great in our store. We are 25 minutes from Lambeau Field Green and Gold anything sells well! I am sure your teams helmet will go well for you too! Blow one up and it sells itself. I put it on our Packer partyware display.